NAATI CCL Test assesses the capability of a candidate to understand and convey what is said by the speakers in both – English and LOTE (Language Other Than English). Once the required score is achieved, a candidate is given 5 bonus points towards his Australia PR Visa application. NAATI CCL Exam accepts Urdu as one of the LOTE (Language Other Than English) among the 47 CCL Testing languages. 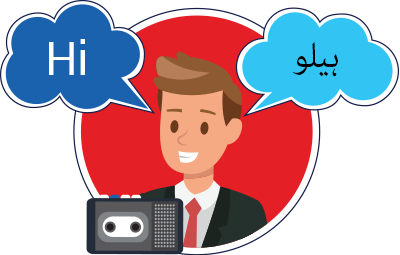 In Urdu CCL Assessment Test, a candidate requires to deliver the exact information spoken by speakers in English as well as Urdu language. The practice materials provided here will help the aspiring candidates in their preparation for NAATI CCL Test. The Urdu NAATI CCL Practice Material depicts dialogues that are designed to assess a candidate’s proficiency in English and Urdu. The dialogues provide experience to the candidates similar to the actual test. You will hear two dialogues between an English speaker and an Urdu speaker. You are required to interpret into the other language what each speaker says. As soon as each speaker finishes a segment, you hear this signal (chime). You may take notes if you wish. You should begin interpreting only a few seconds after you hear the signal. Record yourself while practising in order to assess your progress. Also, this will help you get accustomed to talking while being recorded as in the actual exam. Read academic articles and literature related to government, taxation, laws, health and other areas that contribute to the social life of Australian society. Make use of CCL Practice tests and mock tests to check your progress. Analyse your performance so that you can make improve for the real test.